Aaron Walker started in the business when he was 18 years old. At the age of 27, he sold to a Fortune 500 company and retired. Eighteen months later, his wife told him he was becoming fat and lazy; so he went back to work, purchased the company he first started and grew it four times in 10 years. It was all fun until the unimaginable happened in August 2001. Aaron accidentally killed a pedestrian with his car. It changed his life. He sold the business and spent the next five years learning how to deal with the tragedy. In the process, he realized that his financial success lacked significance. He didn’t want his legacy to be “‘enough money to retire at the age of 27.” Nobody cares. He wanted to make a change. He decided to spend his life encouraging and edifying others. Aaron changed the way he did business. He started looking outward more than inward and he gathered mentors to help him. His life began to take a very different path. 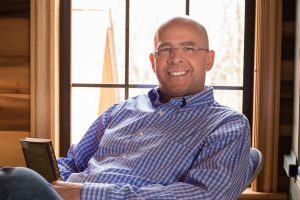 With the help of several mentors he has worked with for more than two decades in a Mastermind group, Aaron launched his own coaching company, View From the Top. 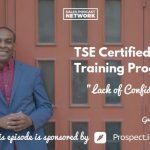 He now leads 14 mastermind groups in eight different countries to help people live a life of success and significance. 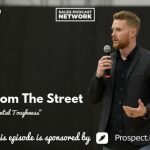 Aaron defines a mentor as somebody who will walk alongside you for an extended period of time, as opposed to a coach who helps you get through a certain point in life. Aaron has been with some of the same mentors for more than 40 years. They help him realize where he needs to go in life. Mentors are people who have been there/done that and whose core values coincide with your own. They are the people who want what is best for you rather than what is best for themselves. For sales, in particular, mentors are crucial. Aaron believes that it is very difficult to grow and expand alone because we each have only one filter – one life experience that guides how we view things. Other people see us differently than we see ourselves. As such, mentors can help realize your superpowers. They also help you understand your weaknesses and to see your blind spots. Having a mentor to point out what we would otherwise miss ourselves can be the very thing that puts us over the top. We have many obstacles and upper limit challenges that we need to push through. Trusted and unbiased advisors can point us in the right direction. Aaron recalls a guy in one of his mastermind groups that was putting together a course that was, in reality, absolutely terrible. Everything about it was terrible, but the group helped him tweak it and shape it into something amazing. It’s the same way in our lives. Aaron admits he lacks tact but never realized that many people viewed him as arrogant and condescending until his wife pointed it out to him. It was one of his blind spots. We need people around us who can help us out. We all know the overly confident, borderline cocky salespeople. Getting them to accept advice, to realize their blind spots and to be humble is tricky. Confidence is needed in sales but people don’t buy arrogance and cockiness. There has to be a measure of humility. A mentor can help you get there. Surround yourselves in business, in marriage, in every area of your life with mentors that you trust to help you get where you want to go. To find a mentor, look for someone who has been married for a long time if you have questions about marriage. Find someone who has been in business for along time if you have questions about that. Look for someone who has nothing to lose, or gain, by talking to you. Family members are often biased in that regard because they want you to have what you want to have. You want someone who will give it to you straight. You have to be willing to subject yourself to scrutiny. You have to be willing to accept the truth in order to hear the truth. That is why masterminds are so profoundly helpful – you have 8-10 people with completely different life experiences at your disposal. They can take your great idea, look at it, and point out the things about it that you might not have thought of. When you work with the same people over months or years, a pattern develops and they see it. A creator developer is someone who gets bored easily and who doesn’t like everything to be the same all the time. It explains why Aaron has had 12 businesses. He likes to develop and create. Because Aaron had a mentor who was able to point it out, Aaron can now plan accordingly. Many young people don’t have mentors while many people with experience to share aren’t necessarily interested in reaching out. Aaron is hoping to connect the two. Mentors have changed Aaron’s life in many ways. He remembers many ebbs and flows throughout his life. One dark time several years ago was particularly difficult. Aaron relied heavily upon his mastermind group at the time and met with them every week. He just could not get motivated but the group was there to listen. Then, one Saturday, Aaron got a call from one of the guys in the group. It was alarming at first because the group never spoke on the weekends but Aaron knew by the tone of his voice that it was good news. “I know you’ve been in a dark spot for a long time and I’ve been praying for you … but you are wearing the hell out of everybody in the group. You just keep on and on every week. Take the chains off from around your neck and move on,” he said. And then he hung up. Aaron was so mad at the audacity of the call. But then he started thinking. Realizing that his friend loved him enough to tell him the truth was the change he needed to get over it and to move forward. A casual friendship does not give that kind of hard truth. Put down the facade and be vulnerable. That is where true strength starts. Surround yourself with people who know your good, your bad, and your ugly but who still care about you. It is the solid foundation that will allow you to become all you were created to be. You can reach out to Aaron via his website, Viewfromthetop.com. His mastermind group, Iron Sharpens Iron (ISI), meets on a regular basis via video conference all over the world. Check it out!